After the failure of its 750 automatic, Honda drew some lessons from the experience. There was nothing basically wrong with the idea, but the basic bike was overweight and too expensive. Potential customers were scared off by the excessive size of the machine and by the initial outlay; users who were former motorists were put off by an appeal to their emotions. Out of this analysis came, in 1978, a new "semi-automatic" bike. The 400A was closely related to the 400T launched in 1977. But, the engine was detuned by some 10 horsepower so that it was better suited to a more relaxed mode of riding. The transmission worked on the same principal as that of the 750: An hydraulic convertor allowed clutchless selection of a low speed – good for around 55 mph and giving good pickup, or a less responsive high speed. Naturally, a parking brake was provided, and it was impossible to start the engine with a gear engaged or the stand lowered. The 400 was not overly expensive and proved popular with the public. 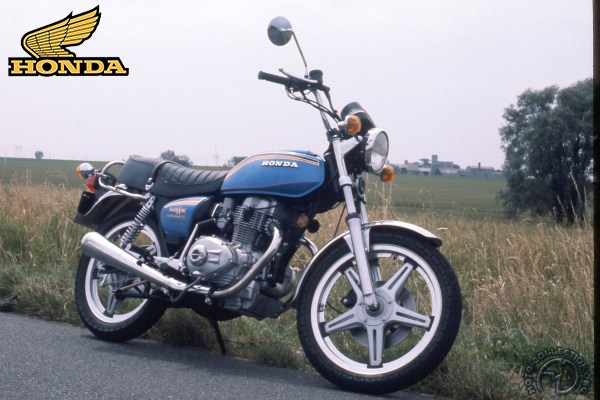 Several variants were marketed worldwide up to the early 1980s, in 400 and subsequently 450cc forms. Some fifteen years after the first CB automatic made its debut, there is no automatic two-wheeler – with the possible exception of the Spazio 250 scooter – that offers equivalent performance. Better suited to the market than the preceding 750, the 400A remained on the market into the 1980s.